Christmas is right around the corner, which means that 2012 is looming near as well! If you aren’t sure how to spend the last moments of 2011 maybe you’ll find some inspiration in these events! Say farewell to 2011 and hello to 2012 at Pier Park with a family-friendly celebration that includes balloon artists, stilt walkers, and the release of over 7,000 beach balls. The countdown to midnight will involve the lowering of a 800-pound beach ball and fireworks to celebrate the start of 2012. Festivities are set to begin at 5:30pm on December 31st, 2011 with the beach ball release being scheduled for 7:00pm. 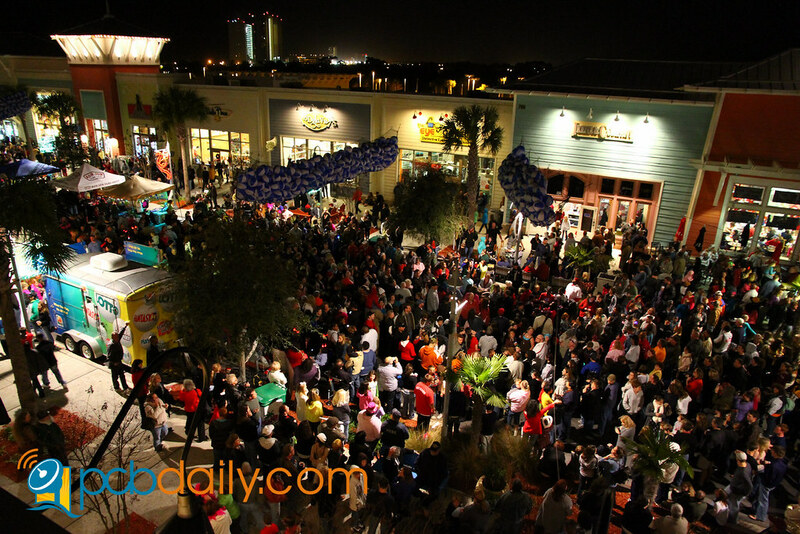 Seaside’s festivities begin at 7pm on December 31st, 2011 and will continue into the wee hours of 2012. The event is a family-friendly party with live entertainment, kids’ art projects, street performers, and a firework display over the Gulf of Mexico. Performances will include Kyle Lamonica at 7pm, The David Mayfield Parade at 8:15pm, and at 10pm Stephen Kellogg and the Sixers will take the stage. Midnight will be greeted with an amazing firework display. From 7pm-11pm, Abrakadoodle will be offering free unique art projects for children. These projects will include noisemakers and time capsules! There will also be face painters to help get everyone in the festive spirit! The Holiday Inn is partnering with Give Kid’s The World Foundation for this year’s New Year’s Eve celebration. A portion of the proceeds from this year’s event will help a family with a child, whose medical bills and conditions would have prevented them from enjoying their time together, make amazing memories. They have special prices for a room, dinner, party, breakfast, and drink tickets- all including a late checkout time! Please visit them online to see the different packages and pricing available for New Year’s Eve. Have fun celebrating a new year for a great cause! 7,000 Inflatable Beach Balls……. WOW!!! Now that is a party full of fun I would love to attend! Unique and different to the ones we have gone to in the past. Very fitting to the area & colorful. Can’t wait to see some photos of this. This will be the third year they’ve done this. It’s been amazing each year. Here are some of the photos from last year. Also, there are tons of pictures and a video in the links above for the Beach Ball Drop. Hope you are able to come from Tennessee to see it in person one year!